Lumbarda summer 2017 – visit Lumbarda this summer! The Lumbarda Tourist Board organize a Fisherman’s Evening every Friday at 19.00, during the summer of 2017. Mediterranean fragrances and a story that you will certainly not forget. 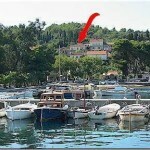 Visit Lumbarda, Korcula, Dalmatia, Croatia, meet our little, but wonderful place to return to!